The corresponding version of ios8.
? Freestyle Baseball’s News Updete (1.5.0) ?
? 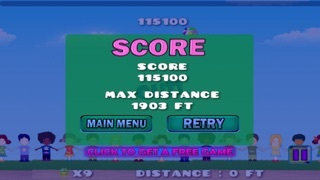 Freestyle Baseball has surpassed 200 million downloads. ? 1 vs. 1 Online Gameplay! Unique Matches & Thousands of Rivals! Personalize your Baseball Player to Throw Harder, Hit Harder and Play Harder! Brace yourself for an unforgettable baseball battlefield. Freestyle Baseball pits street smart pitchers against mean-street batters in a 3D freestyle score-a-thon. Set in a detailed, realistic 3D urban environment, player customize characters face off against NPCs or one another in real-time. 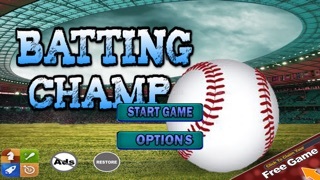 With every successful pitch and run scored, players build up skill points and other rewards, gaining the ability to learn new skills in batting and pitching. Players can personalize their characters with a huge variety of customizations including clothing, hair styles, and equipment, expressing themselves and enhancing their performance. Single player campaigns, custom one-on-ones against defeated NPCs, and real-time multiplayer mode make Freestyle Baseball a baseball battle that never strikes out! Gear up, get some gold, accumulate battle points, and dominate your opponents in the hottest new sports game of the season! Show off your skills by battling real-life opponents in real-time, wagering your skills against their battle points to boost your reputation and buy new bling in the shop. Face off against Freestyle Basebal’s own star NPCs, defeating each one to gain skill points, advance levels, and unlock special items in the shop. As each NPC is defeated, their character becomes unlocked in the custom game mode. Hone your skills against NPCs in custom game mode. As each is unlocked, you’ll gain valuable practice time and have a perfect pick-up-and-play option available anytime the mood to strike out a batter strikes you! Switch off batting and pitching every other inning, and refine your skills at both. Simple game mechanics make learning Freestyle Basebal easy, but it’s going to take talent to rule the street! Use your skill points to improve your swings and pitches, and acquire new specialized moves to stump your opponents. As you progress, special Deadly Skills will become available when adrenaline runs high and the rage gauge fills. As a pitcher, add new pitches to your arsenal: fourseam, curve, fork, changeup, and slider. Combine them with deadly moves like twister, illusion, and arrow to become unstoppable. When batting, activate your power swing to up your chances of a well-placed hit becoming a game-changing home run!
? Freestyle Baseball Review ?